Lilia, her husband, and their grandson live on the small island of Sulangan in the municipality of Guiuan, Philippines. Her and her husband make and sell rice cakes (locally known as “puto”). In early November 2013 Typhoon Haiyan struck the Philippines, destroying thousands of buildings and lives. Lilia and her family luckily survived the storm, however their house was stripped. “Everything was washed out. I even found my cabinet outside in the road. I was really shocked.” she says. Her family stayed in the walls of their old house under a tent her grandson constructed for them from old sheets. Within two months of the storm Build Change, Cordaid, and many other NGOs were already working on rebuilding in the area. 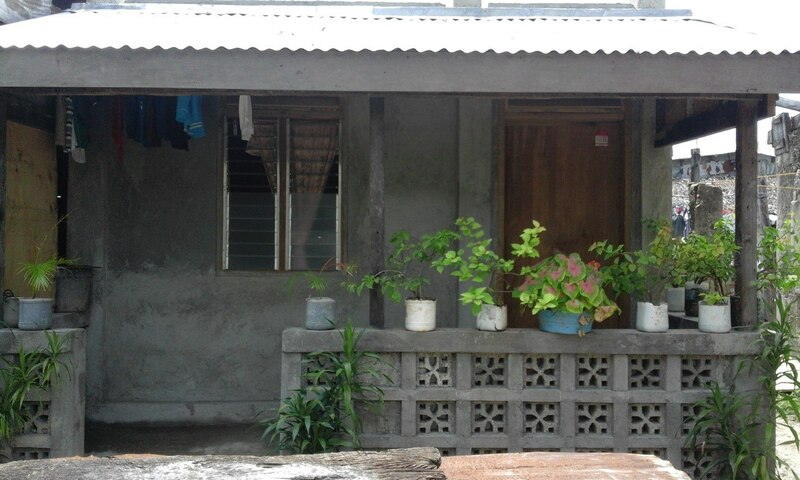 Lilia applied to receive financing for a new home through Cordaid, who partners with us to ensure that the projects they finance are disaster-resistant. With Cordaid’s support, Lilia began working with us to design and build her new home. “Build Change showed me a design with three windows and a veranda in the back, but I chose to put the veranda in the front”, she says, describing her additions to the building. Now, Lilia and her family are more confident in the structure of their new house. After being a part of the construction process with Build Change builders, she describes feeling “more comfortable knowing my house is stronger now”.